I am still harvesting strawberries daily in our garden, so I decided to make some ice cream. 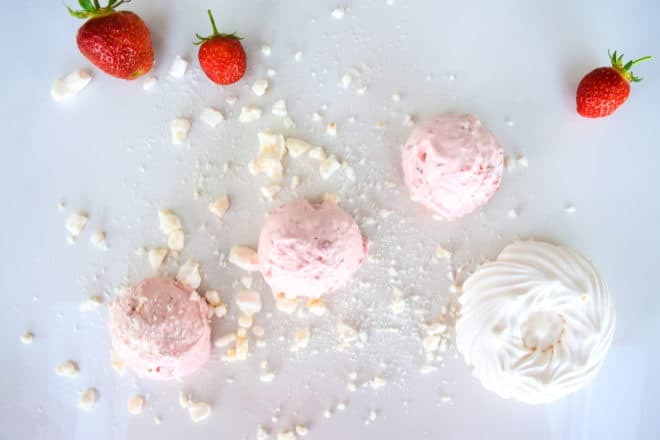 Eton Mess is a great strawberry dessert and strawberries and meringue go so well together. I just couldn’t resist pairing the two in creamy, yummy, frozen deliciousness! It’s June! That means it’s officially strawberry season, YAY! 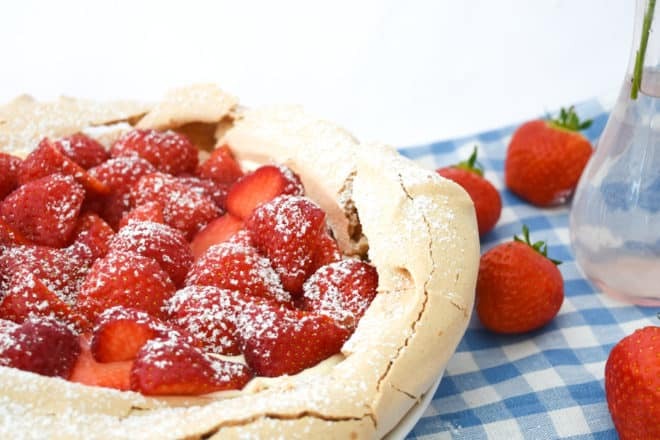 There are so many different things you can do with strawberries in the kitchen and over the next few weeks I will get cooking and bring you some delicious ideas. But to start with, I thought I would bring you a simple Pavlova recipe.